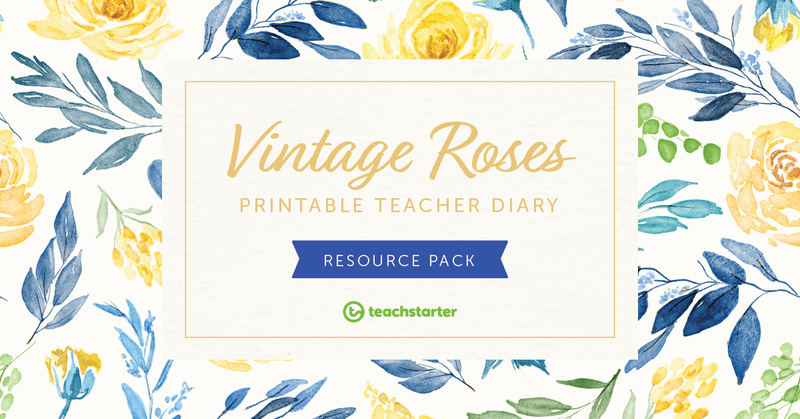 Vintage Roses – Your Most Elegant Teacher Planner Yet! Hot on the heels of our beautiful Blush Blooms Editable Teacher Planner‘s launch comes our newly-released elegant teacher planner. Introducing: Vintage Roses! 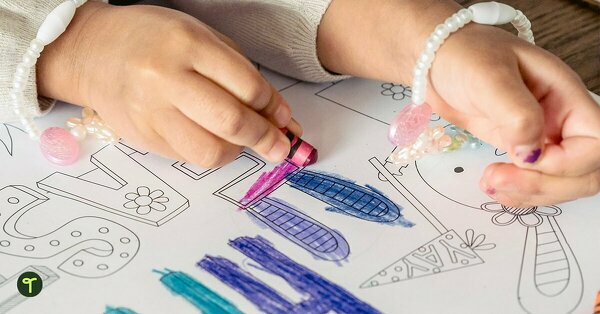 Add some pretty to your desk and your day with this lovely new design. Vintage Roses is the epitome of classic elegance. Gorgeous golden roses adorn its pages and are flanked by olive green leaves and calming blue foliage. 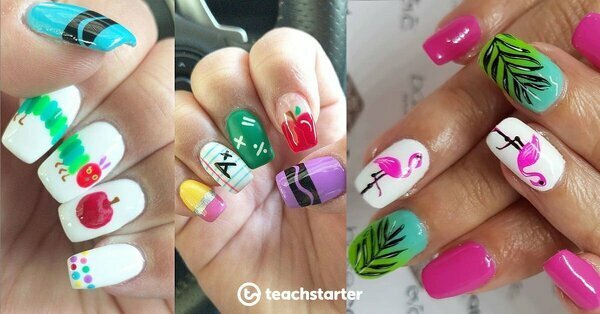 Our talented designer Fleur re-imagined her original illustrations used in Blush Blooms to create this vibrant variation, which will brighten any teacher’s day. The Vintage Roses Teacher Planner is made of whimsy and delight. 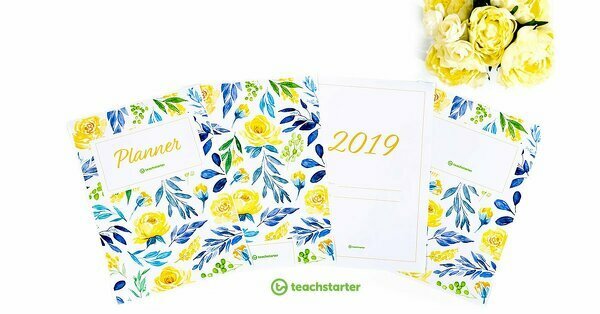 The Vintage Roses Printable Teacher Diary Resource Pack includes absolutely everything you need to compile a gorgeous, functional teacher planner for the 2019 school year! 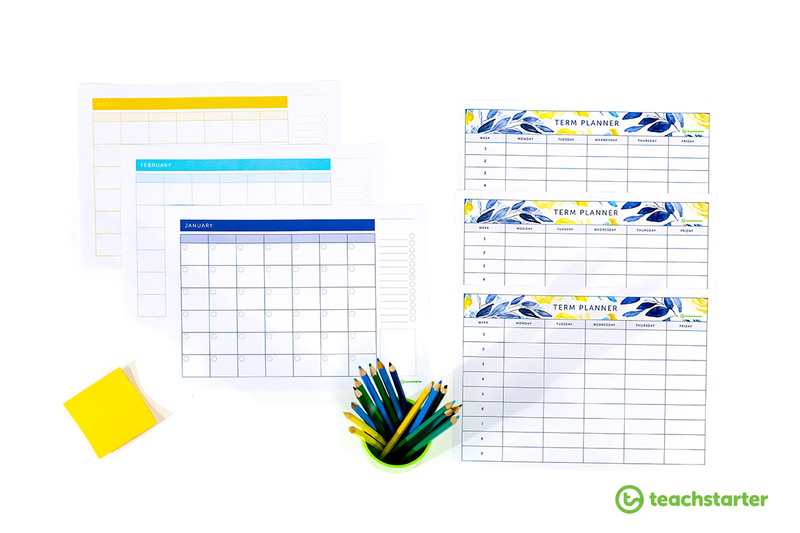 This pack includes various editable elements, enabling teachers to customise their planners to suit their preferences. Take or leave whichever pages you wish – your diary is entirely your own. How Do I Assemble my Vintage Roses Teacher Planner? 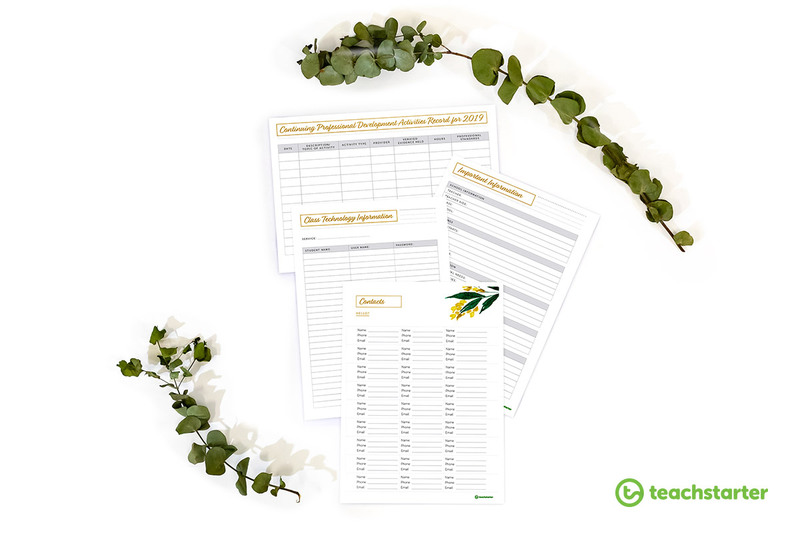 It really is as easy as downloading either the entire Vintage Roses Printable Teacher Diary Resource Pack, printing the pages you’d like to include in your diary, and taking it along to Officeworks to have it bound. 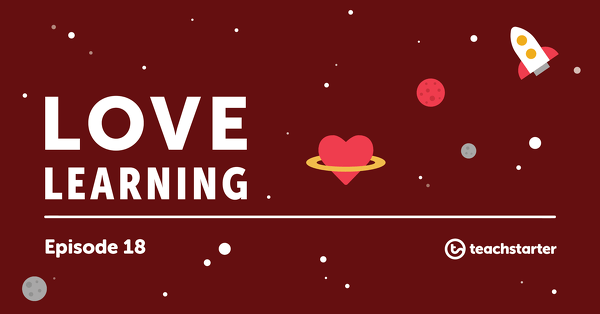 If you’re feeling fancy, you can download the pages as editable Microsoft Word documents, and edit, personalise and customise the resources to your heart’s content. 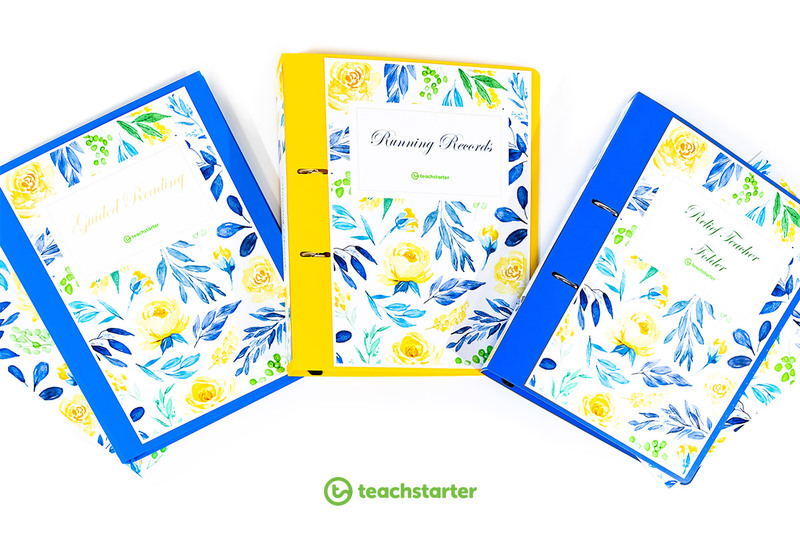 For more detailed information on popping together your elegant teacher planner, head over to our Blush Blooms blog! 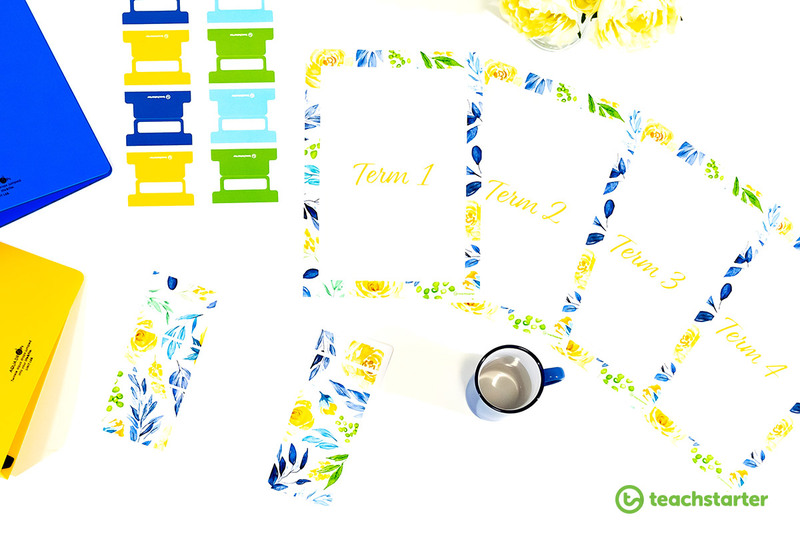 Here at Teach Starter, we know better than anyone how much teachers love to organise their resources into folders! Our Vintage Roses Printable Teacher Diary Resource Pack includes binder labels, spine label strips and tabs so you can Vintage Rose-ify all of your folders for a consistent, coordinated look! Blush Blooms or Vintage Roses?